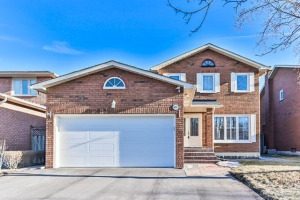 Solid Brick With Attached Garage With Newer Interlock Entrance On A Large Private Lot. Original Owner! 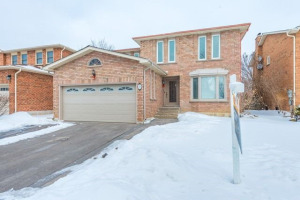 This 4 Bedroom Home On A Private Street With A Large Renovated Eat In Kitchen With Moderate Size Family Rm With Fireplace And A Large Living Rm& Dining Rm Combination To Entertain Your Guests. 4 Renovated Washrooms. Newer Windw & Roof & Furnace & Cac.No Side Walk Can Park Additional Car . Fin Bsmt W/Kit, Bathroom & Rec. Extremely Well-Kept Home! Fridge, Stove, Washer, Dryer, B/I Dishwasher,Cac,Cavc. Main Floor Laundry. 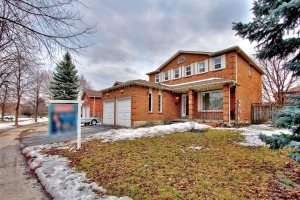 Famous School-Markville Hs Or Unionville Hs , 6 Mins Walk To Ps, Mins Walking Distance To Shop, Restaurants, Go Train.